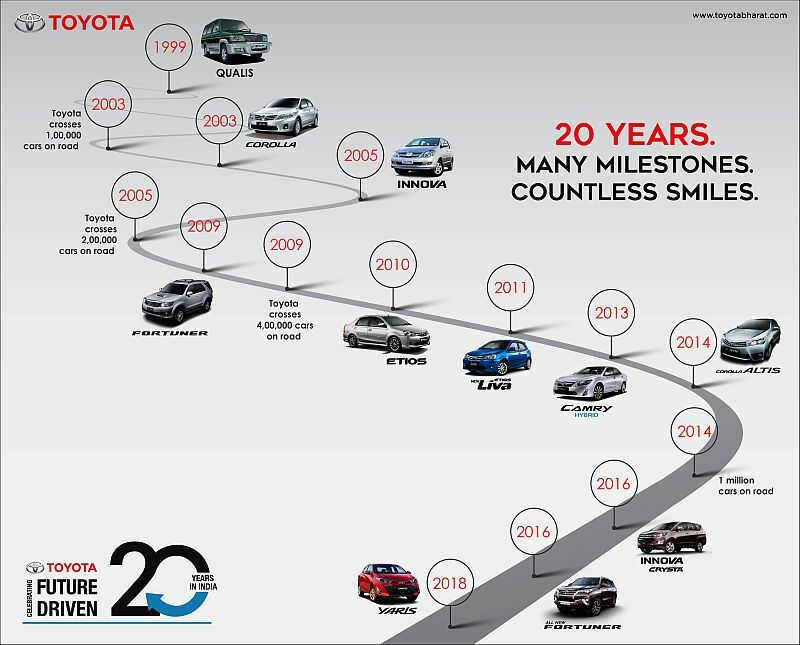 Toyota Kirloskar Motor, the leading automobile manufacturer globally is celebrating 20 years of offering ever better cars to the customers of India. Toyota’s focus in India has been steady towards sustainable growth and to remain competitive with best of safety, comfort, luxury, quality and after sales services, through globally acclaimed models, to further enrich customer trust & confidence. Toyota has been winning hearts with its legendary segment leading products like Qualis, Innova, Fortuner and Corolla backed by the global QDR philosophy. Toyota Kirloskar Motor’s vision, philosophy and guidelines are true reflections of its commitment for a sustainable future. Toyota primarily focuses on solving larger issues faced by the nation than just manufacturing world class cars. This thinking way drives their production system, products and services, national campaigns and all daily operations ensuring low emissions, fuel saving, energy conservation, safety as a prerequisite. Toyota has been listening to customers and constantly evaluating the rapidly changing needs of Indian Car customers to offer the right product to the Indian market. 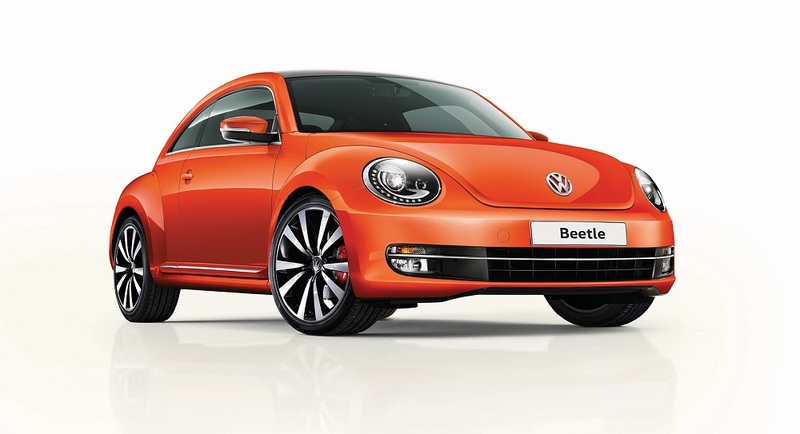 Since the launch of its multi-purpose vehicle the Qualis in India in 2000, the company has been focusing on evolving customer aspirations in India. The Company has been constantly upgrading its products and introducing newer innovations and technologies in the Indian Market. Toyota has continuously pursued to be Number One in Customer Satisfaction with every product milestones ‘Launch of Toyota Camry in 2002’, ‘Launch of Corolla in 2003’, Launch of Innova in 2005, Launch of Fortuner in 2009, Launch of Etios in 2010, Launch of Innova Crysta in 2016 and Launch of Yaris in 2018. With diverse product lineup, Toyota has endeavored to improve its standards in terms of providing the best quality, unbeaten safety, performance, fuel efficiency and unmatched comfort in every segment. Customer First has been the key guiding principle for Toyota in its successful journey in India, to ensure a safe, convenient and hassle free driving experience to customers Toyota Kirloskar Motor launched TOYOTA CONNECT INDIA, in 2017 a smart phone application based connected services which caters to customer’s mobility & ownership needs in a personalized manner. 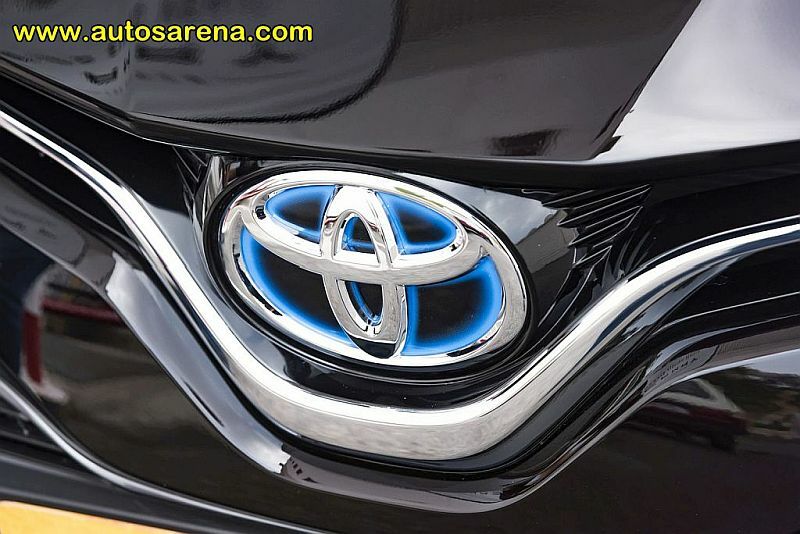 TOYOTA CONNECT INDIA is a fully integrated cloud based connected service platform supported by a dedicated & specialized call center, Toyota’s dealer networks and service providers. In response to a rapid increase in traffic accidents in urban areas of India and prioritizing Customer Safety, Toyota is the first auto manufacturer to have standardized airbags across all grades in all models in India in 2015. Further, ABS & EBD has been standardized [with the launch of new Platinum Etios & Liva, since Sep 2016], reinstating the importance of safety. With Yaris, Toyota Kirloskar Motor [TKM] has underpinned commitment to safety by being the first in the segment to offer 7 SRS airbags – (D+P airbags, Side airbags, Curtain Shield Airbags (CSA) and knee airbag) across all variants in the new Yaris in 2018. Toyota continuously strives to develop advanced safety technology and apply them in its vehicles. Aligning with Toyota’s global philosophy – Toyota Kirloskar Motor being a Safety Leader, have implemented various safety initiatives by engaging with stakeholders – Employees, Dealers partners & Supplier partners through a 3-dimension concept of Manufacturing Safe Cars, Developing Safe Drivers & Building Safer Environment. There is one fatal accident in India every 4 minutes which means that 1.4 lakh such accidents take place every year. To create a safe driving culture in the country Toyota launched its first driving school in Kochi in 2015. Toyota Kirloskar Motor has launched 11 other driving schools at Kochi, Lucknow, Hyderabad (two), Chennai (two), Kolkata, Faridabad, Vijayawada and Surat. As part of the brand’s ‘Safest Car with Safest Driver’ mission for road safety, it plans to have 50 such schools across India by 2020. In addition to making ever better cars, Toyota is committed towards a greener tomorrow and establishing a future society in harmony with nature. Toyota being a leader in the environmental stewardship started its journey towards greening its energy source since 2015-16 and has made substantial step-up over the years. Guided by Toyota’s ‘Global Environmental Challenge’ 2050 in line with the United Nations Sustainable Development Goals, till January ‘19 [in FY 2018-19] – Toyota Kirloskar Motor (TKM) successfully sourced 87% of electricity from renewable source of energy for its operations in Bidadi facility. Toyota has been recognized for its sustainable growth with its core belief “Ever-Better Cars with Ever-Better Technology for an Ever-Better Environment”. TKM sources clean energy and adopts smart manufacturing systems towards Toyota’s ultimate global mission of ‘Zero Carbon Emission through various initiatives like adoption of reverse refrigeration system, centralized control of chillers, adoption of smart ACs, TKM has been reducing significant quantity of Co2 releases over the years. 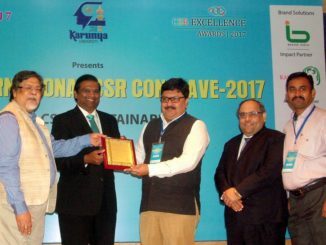 Recognising these efforts on reduction of emission in TKM’s manufacturing plant with key contributor being optimisation of renewable energy, TKM was recognised as a “Model Plant”. TKM has established their Plant 2 with an ECO factory concept and implemented ECO friendly technologies like Servo press (40% energy reduction), Water based painting technology (Reducing VOC emission by 50%). Through its philosophy of “KAIZENS”, TKM drives continuous improvement in its environmental performance with active participation of employees in bringing the change. The company has also been vesting enormous efforts to reduce its energy consumptions through controlling and reducing daily energy consumption in each of the operational processes instilling stringent & systematic monitoring to track energy usages. In FY 2018-19, 76% of the Water consumed in the Manufacturing Facility was recycled water and only 7% of fresh water was consumed. As pioneered makers of eco-cars leading the way for a better tomorrow, Toyota recently launched The All New Camry Hybrid Electric Vehicle. Toyota’s strong hybrid technology not only aims at creating harmony with man, nature and machine, but also positioned as the future of eco-mobility. The Camry Hybrid or self-charging electric vehicle is a strong hybrid and the only hybrid which is locally manufactured at Toyota Kirloskar Motor’s second plant located at Bidadi [Bangalore, Karnataka] in India. Mr Masakazu Yoshimura, Managing Director, Toyota Kirloskar Motor said “We would like to thank our customers, our vendors, our people and the Government for the relentless support and trust in the company over all these years. The inspiration from all our partners has been instrumental in our growth in India. Toyota globally believes in creating a smart mobility driven society with integrated approach connecting People, Vehicles and the Society. At Toyota, we are constantly challenging ourselves to create new ways to move and connect our customers. India is a very important market for us, we have been continuously striving to bring in newer innovations and technology to cater to the discerning taste of customers. All through this long journey, our products have stood the test of time being appreciated for the value it offers to customers. Toyota’s renowned reputation of Quality Durability and Reliability (QDR) has led our steady growth in the Indian automotive market. We are proud to declare that over 1.5 million Indians are part of the ever growing Toyota family.